Overview: This transformation more than addresses the program issues of revitalizing an ancient streetcar artery into a viable 21st century corridor of alternative modes of transportation; it addresses Cleveland’s sustainable quality of life for the City’s current and future generations. 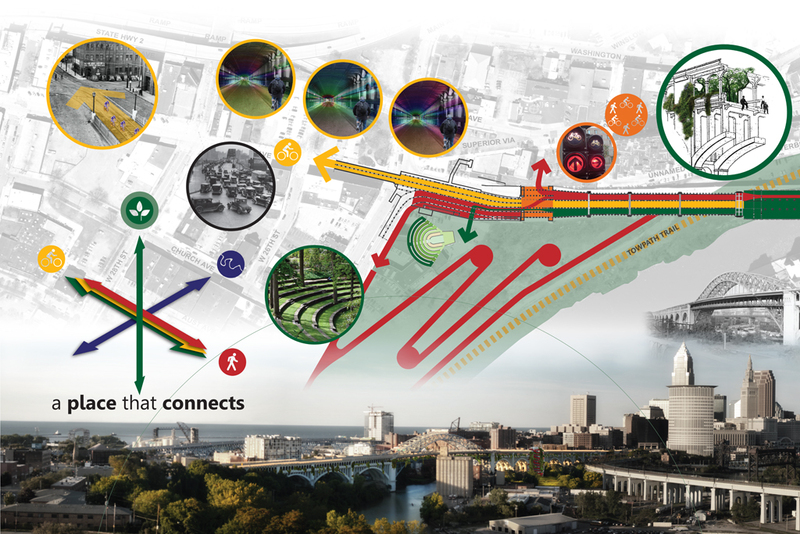 It will be more than an alternate physical route of getting from the East side to the West, it will provide a new route to experience events that tickle our senses and stimulate our imaginations. This is an organic transformation of an inanimate object into a living and breathing artery. It will be a place experienced through motion as an adventure of expectation and discovery. 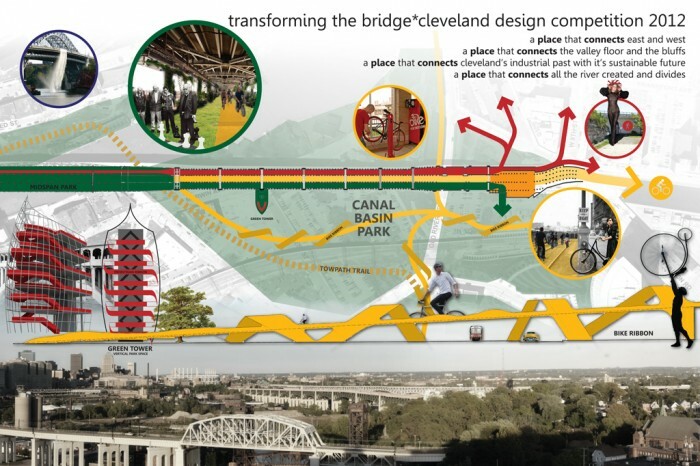 The bridge will be a place that connects time and space from Cleveland’s past history, including transportation, industry, culture, climate and environment. It will be a joyous place providing an ever changing experience, serving as a stimulus for our imagination. As sun travels across the sky or as the seasons change from winter to summer and back again, so changes our bridge. Once a passage used for transportation, the bridge now becomes a place for new unexpected experiences. To experience the bridge is to experience Cleveland. To experience the bridge is to know Cleveland.